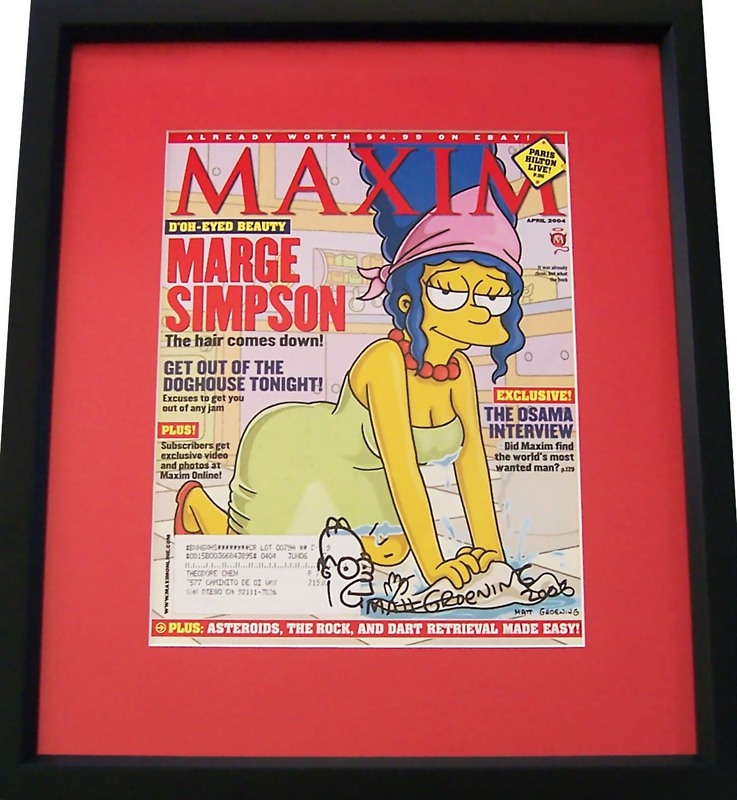 Original 2004 Maxim magazine Marge Simpson cover autographed and doodled on the cover with a Homer Simpson head by legendary creator Matt Groening, who also added the year 2006 to his signature. Professionally matted in red and framed with glass in black, ready to hang. NOTE: the cover has a subscription address and minor marks noticeable only upon close inspection. 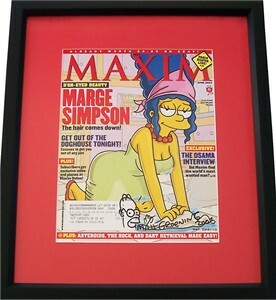 Obtained from Groening at 2006 Comic-Con. With certificate of authenticity from AutographsForSale.com. ONLY ONE AVAILABLE FOR SALE.